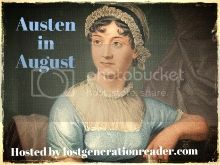 Thanks again to Jenna of The Lost Generation Reader was hosting Austen in August reading event. Jane Austen’s Pride and Prejudice is such an enjoyable and yet substantive book. As I observed in my previous post on the book, so much can be said about this novel. For this post I want to concentrate one particular event in the narrative. One of the major elements of the plot involves the first marriage proposal made by Mr. Darcy to Elizabeth Bennet. Due to a combination of misunderstanding, bumbling by Darcy, as well as unfair judgment by Elizabeth, the proposal is spurned. I initially planned to share some thoughts concerning the passage in which the proposal is made. I intended to argue that Darcy did indeed exhibit enormous arrogance, thus justifying Elizabeth’s appalled reaction. This is indeed how I remembered the passage. When I went back and read this part of the book, however, something surprised me. Following a few words describing Elizabeth’s surprised reaction, Austen continues to describe Darcy’s offer. The first thing that strikes me on this second reading is that after Darcy’s initial protestation of love, there is no actual dialogue presented. There is only a paraphrase of what was said. It is important to note that although the novel is written in a third person point of view, it is written from Elizabeth’s perspective. Why would Austen, an extremely skilled artisan of human speech, refrain from putting words in Darcy’s mouth at such a critical juncture of her story? Could it be that the author was trying to say more about Elizabeth’s perception of the event than the event itself? One of the basic themes of the book seems to be the “prejudice” that Elizabeth holds towards the characters of others, particularly Darcy. The question arises then, is the above description of Darcy’s proposal perhaps shaded by this prejudice? So shaded, in fact, that she does not remember the actual words. It is very difficult for me to think of other reasons why this important moment in the narrative is so sparse in dialogue. Perhaps Austen may not be saying anything definitive here. We are left wondering what Darcy did say. To be sure, up until this point in the narrative he has shown himself to be socially uncouth and, at times, insensitive to the feelings of others. Thus, it would not be all that surprising if he were to blurt out inappropriate and even insulting things in his proposal. Based on Elizabeth and Darcy’s characters, it seems extremely unlikely that she completely imagined Darcy’s insult to her status and family. On the other hand, even if his speech left much to be desired, was it as bad as the paraphrase indicated that it was? Are we certain about its tone and severity or whether or not there were ameliorating words or arguments included? Admittedly, I am on shaky ground here. I cannot really determine what Austen’s intentions were. I can say that, at least for myself, while the text leaves me certain about how Elizabeth perceived the proposal, I am fuzzy as to what Darcy actually said. I must also note that my own slightly distorted recollection of this passage prior to my rereading might just reflect how good Austen was at creating this ambiguity in the mind of the reader. Later in the novel Darcy sends Elizabeth a letter in an attempt to clear up some misconceptions that our heroine has about him. It is significant that upon her first reading of the correspondence, Elizabeth is a bit lukewarm concerning Darcy’s words. However, with further rereading, she strongly warms to what he has to say and eventually comes to cherish the letter. Is this further evidence of Elizabeth’s unreliable perception? Had the earlier conversation with Darcy been recorded or transcribed, might she have perceived it differently after several reviews? What Darcy actually said in his initial proposition will now forever be unclear for me. I would argue that such uncertainty only adds to the complexity and aesthetic value of this novel. Like some other nineteenth century English novelists, Austen seems to have been a very good psychologist. Nowhere is this more apparent than in this very curious passage. 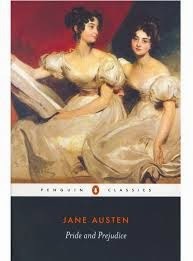 Austen’s understanding and ability to exhibit the human psyche and its equivocality adds to the brilliance of this book. Thanks again to Jenna of The Lost Generation Reader for hosting the Austen in August reading event. Jane Austen’s Pride and Prejudice is such a well known and often talked about and analyzed book that I am in a little bit of a dilemma as to how to approach my commentary. First off, I shall render my verdict: this is an extraordinary and fun book that is packed with entertaining and dynamic characters. It is also filled with insightful and important observations about the human experience. The novel is infused with amusing, thoughtful and surprising deep philosophy. This book is all about people. Specifically, it is about our strengths, weaknesses, motivations and desires. As a latecomer to Austen, I can say with an air of impartiality that may be suspect in her more diehard fans that this book deserves the esteem that it is held in. For those who are unfamiliar with the story, the main character is Elizabeth Bennet. The narrative follows Elizabeth and her sisters as they interact with society. Romantic associations form a key part of their world. Jane is the oldest sister and although an incurable optimist, she is intelligent and perceptive. Catherine and Lydia are still in their teens and are frivolous, flirty and very immature. Mary, is bookish but pretentious. I will say more about Elizabeth below. The various male characters who intermingle romantically with the sisters include the moody, complex and enigmatic Mr. Darcy, the charming, decent, but somewhat weak willed Charles Bingley, and the seemingly charming but duplicitous George Wickham. Many additional male and female characters, some very interesting in their own right, populate the tale. As alluded to above, volumes upon volumes have been written about this book by professionals and amateurs alike. The character of Elizabeth garners much of the attention of the novel’s admirers. Such notice is well deserved. Elizabeth is a dynamic, amusing, intelligent creation who often seems like a real person. Her perceptive and biting observations upon the world and its inhabitants are a major source of her popularity as well as the charm of the book. Yet, like several of Austen’s characters, her psyche is well constructed and includes virtues as well as flaws. What can I add to all of this that has not already been said? 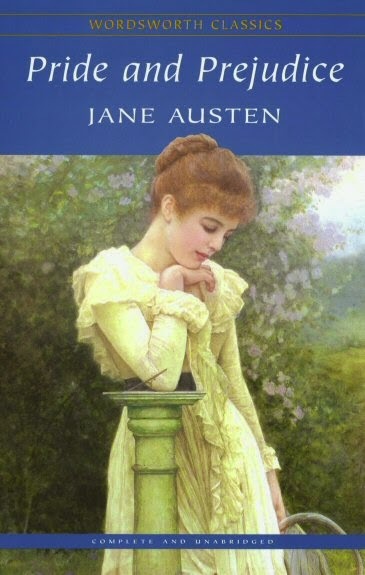 I also have in mind that this is the first Austen novel that I have read and the immense number of opinions on Elizabeth, Darcy and the main themes of the book have been formulated by many people who know Austen much better than I do. Thus, in order to avoid playing in traffic, I will focus my attention upon a somewhat minor, or at least only moderately important, point and character in the tale. That is, Austen’s take on the Bennet family, particularly through the lens of Elizabeth’s father, Mr. Bennet. We are all so accustomed in fiction to good natured and amusing tales of families whose members are quirky and imperfect. Often, such imperfections are viewed in the context of relationships that are, on the whole, positive. On the surface, this seems to be the situation with the Bennets. However, there is something going on in here that contains a surprisingly hard edge. The fact that Austen herself, in the third person narrative, describes Mrs. Bennet in similarly harsh terms lends the sense that Mr. Bennet’s attitude is not just meanness. In addition, in several instances it is clear that thoughtful and generally sympathetic characters can barely stand Mrs. Bennet as she wantonly displays her narcissism, obnoxiousness and ignorance. Yet the younger girls are still in their teens. It is somewhat surprising that Mr. Bennet, who seems to act with wisdom and understanding when supporting his older daughters, has given up on the younger ones. When Lydia is invited by friends to go on an ill advised stay at Brighton, where she will likely get into serious trouble, Mr. Bennet does not care enough to stop her. He even ridicules her and the other younger sisters’ flaws as he does his wife’s weaknesses. This is not just appalling, but unexpected as he shows wisdom and understanding when dealing with the older girls, and he is particularly close with Elizabeth. Later, when Lydia marries the roguish George Wickham, Mr. Bennett amuses himself by belittling his son-in-law too. What is one to make of Mr. Bennet? There is no excuse for his attitude and negligence of his younger daughters. Yet, he is intelligent, witty and perceptive. He shows admirable qualities towards his older daughters who he clearly views as worthy of respect. Often his humor is very funny, the reader laughs alongside with him, and he is a very entertaining character. Mr. Bennet’s portrayal is one of many reasons that this is a great novel. The man is really not so puzzling. Humans behave this way. Sometimes, the same people who exhibit very noble behavior in some areas of life exhibit pernicious behavior in different contexts. One can understand Mr. Benet’s attitude toward his terribly overbearing and vacuous wife and his unscrupulous son-in-law, but only to a point. The point stops when this contempt begins to influence and even extend to the children. Mr. Bennet is unable to see that he has crossed a line and that his witty but cynical sarcasm is damaging his family. Though he exhibits admirable qualities and seems likable, he is infused with an unfortunate streak of narcissism and irresponsibility. Above are my observations on one little aspect of this book. I can write a lot more and plan to do so the future. This is a terrific book that easily reaches my definition of “high art.” Those who love to explore the human condition though fiction, or who just love great literature, but like to have fun while doing so, need to read this. Personally I plan to read a lot more of Jane Austen. As someone who has recently discovered Jane Austen I was excited to discover that Jenna of The Lost Generation Reader was hosting Austen in August. The event allows Bloggers to participate in various ways including posting reviews, commentary, as well as other Austen related topics. I cannot wait to begin reading what other bloggers have to say. I will be posting my entry on Pride and Prejudice shortly. If time permits I hope to put up a second blog up later in the month on another Austen work. Anyone else who wants to participate or to just read what I expect to be intriguing and insightful posts written by other bloggers should head over to Austen in August. Participants need to sign up. While over there, I encourage everyone to take a look around. Jenna’s site is very literary and she has some great commentary on Jane Austen’s as well as other writers. Her site is well worth exploring. Many Thanks to Jenna for hosting what looks to be a great event!